Everything starts with a phone call. Call us at 408.460.8401. We would love to meet with you and see how we can work together to achieve your dream of owning your home or selling your home in Silicon Valley. As your Broker and Realtor in San Jose, CA, we will cover the entire Bay Area, Silicon Valley, including Los Gatos, Monte Sereno, Saratoga, Cambrian, Willow Glen, Almaden Valley, Blossom Valley, Campbell, Santa Clara, and Sunnyvale. As your real estate agent and realtor broker we will make sure you get the best possible deal on your next real estate transaction. Let us help you find your dream home today! Born and raised in San Jose, Daniel knows the San Jose area very well. He remembers the days when San Jose was a rural area with lots of orchards, small farms, and small communities. During the 1980’s and 1990’s Daniel witnessed San Jose being transformed into a high tech industrial area. Today, San Jose is referred to as the Capital of Silicon Valley. As a young man growing up in San Jose, Daniel had a paper route for the San Jose Mercury News. It was one of his first jobs that taught him the importance of hard work and dedication. Daniel recalls, “My customers expected me to deliver the newspaper every day, whether it was raining or sunny.” There is no substitute for hard work and consistency. He attended Mt Pleasant High School where he played football. Upon graduating, he went to De Anza College where he joined the student senate. While serving in student government he helped with budget planning and responding to student issues on campus. He developed important leadership skills that eventually landed him in Washington DC representing the school. He transferred to San Jose State University at graduated in 1991. That same year he got married and started a family. Upon graduation, he went to work for MACSA a non-profit organization aimed at helping low income families in Santa Clara County. Daniel was the program director for a small computer literacy program that helped inner city kids learn how to operate computers. He was then promoted to Assistant Director of the Youth Opportunities Unlimited Program where he wrote proposals for funding and performed administrative duties. Shortly thereafter, he accepted a program director position with the YMCA of Santa Clara County. As the Director of Multicultural Services for the YMCA he developed important outreach programs in the community for all the 16 YMCA branches in Silicon Valley. After a few years, Daniel decided to transition from the non profit to the profit sector. Daniel started his own business as a entertainment broker and formed an Limited Liability Company. As an entrepreneur he learned the importance of internet marketing, negotiation, contracts, and the importance of exceeding clients expectations. He grew a small DJ / Band business into a large music operation that served well over 400 events per year and grossed well over a quarter million per year. He managed over 50 talented musicians and entertainers and made sure they always performed at their best. 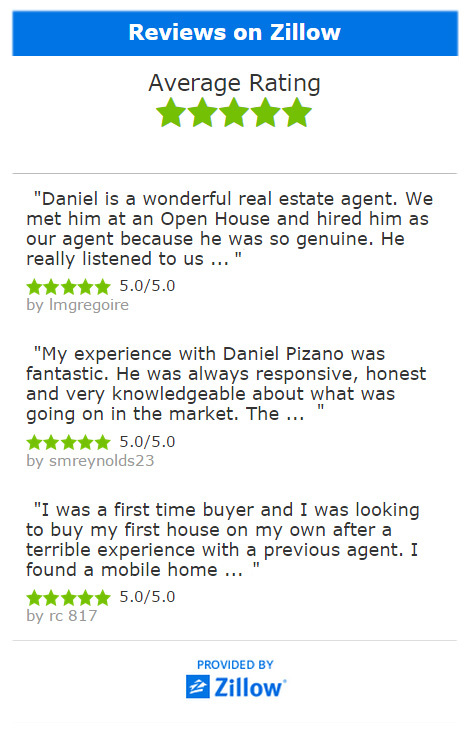 In 2004, Daniel passed the state real estate exam and went to work for Coldwell Banker at the beginning of the following year. After 8 years and much experience Daniel decided to take the broker exam. In 2012 he passed the broker exam and was awarded his broker license by the Department of Real Estate now referred to as the Bureau of Real Estate. As a broker he has more to offer his clients. He has more education, more experience, and more knowledge than a Sales Associate. A broker can handle money in a trust account and act as a property manager. Brokers can also can start their own real estate firm. 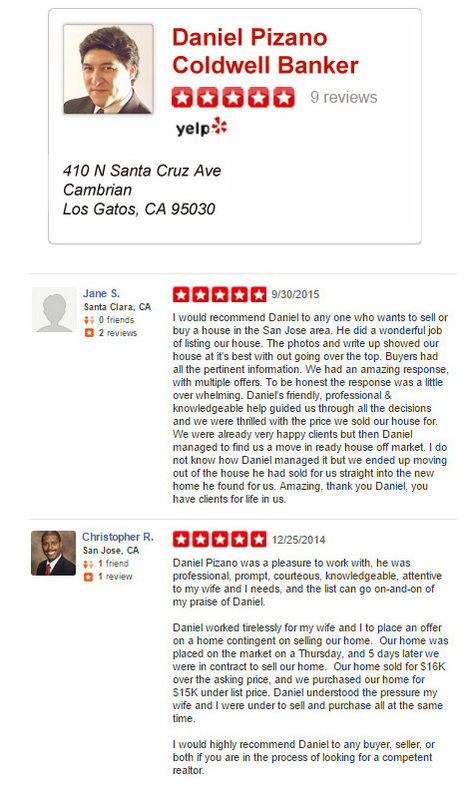 Daniel has almost 12 years of real estate experience and hundreds of real estate transactions under his belt. He has received numerous awards for being a Top Producer and has been awarded the coveted e-PRO certification from the National Association of Realtors. Daniel is with Coldwell Banker of Los Gatos because they have the best reputation in the business and are consistently the #1 top producing (sales revenue and units sold) real estate brokerage in Los Gatos as well as most every local real estate market in the United States. Coldwell Banker has over 3,000 offices and is in 49 countries around the world and is even in China. Coldwell Banker is a top real estate firm with a strong legal team and effective global marketing. Coldwell Banker is tough to beat in any market. Coldwell Banker has a rich history that can be traced back to 1906 in San Francisco. During the Great Recession of 2008 when people were losing their homes he and a group of real estate professionals developed a think tank for helping Spanish speaking homeowners who were ill-informed on their options. 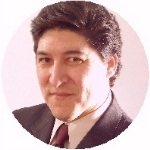 In 2008 he became a founding board member of the resurgence of HARA (Hispanic Association of Realtors and Affiliates) and later it became NHORA (National Hispanic Organization of Real Estate Associates). His community service includes being a four year member of the San Jose Human Rights Commission. He continues to volunteer in his church by helping paint or repair homes through the Extreme Home Makeover program. He also supports local schools and community organizations. He believes that in order for a community to be strong, the residents must look out for one another and support each other. He currently lives in the Leigh Noddin Area in Cambrian – bordering the Belgatos Neighborhood of Los Gatos. He has been married to wife Lynn for 25 years with two sons. Both young men are currently and former students at Noddin Elementary, Union Middle, Leigh High School, and now San Jose State University. Nothing gives him more pride and joy than his family. He is a family man. Daniel loves the Cambrian area south of the 85 freeway because its very close to downtown Los Gatos, Vasona park, biking trails, and the beautiful mountains. Daniel Pizano with Coldwell Banker is the right choice if you need a hardworking, dedicated, entrepreneur minded, and knowledgeable broker to represent you. He will negotiate on your behalf and always put your interest first. With over a decade of experience, you can be sure that he will help you succeed.